After months of waiting my favorite season of the year is finally here! This summer was particularly hot here in the Pacific Northwest, so the crisp fall days, grey skies and cool showers are a welcome change. 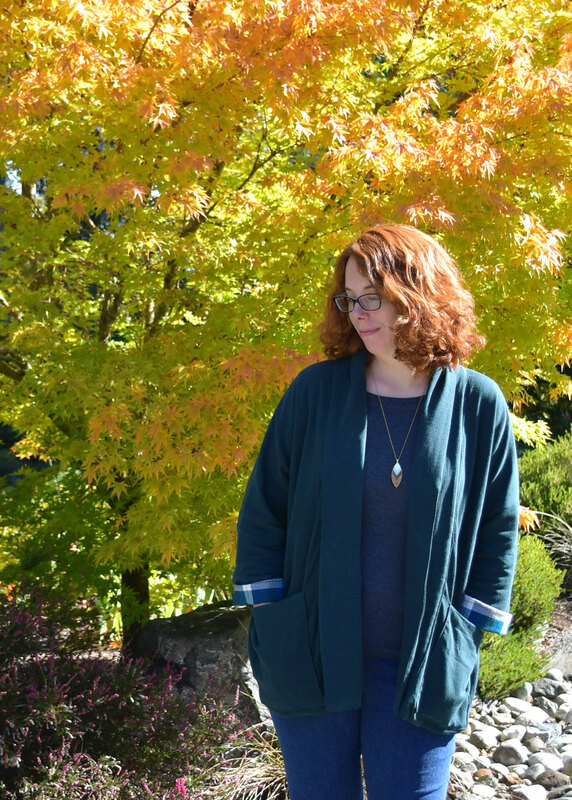 The arrival of fall also means that it is finally time to break out all the fall layers I love wearing. 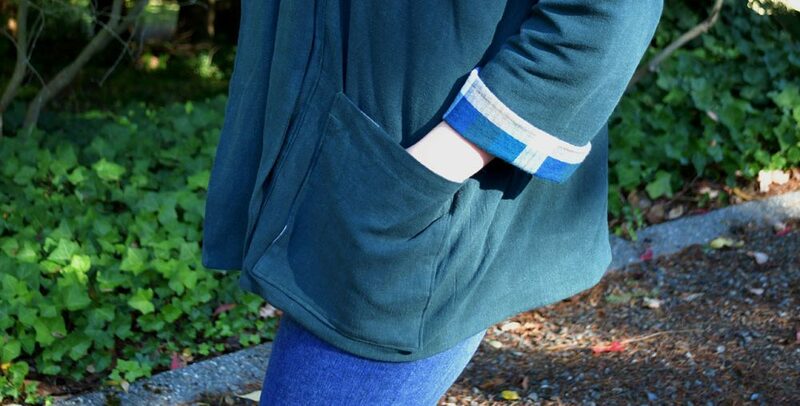 Pullovers, sweaters, turtlenecks, flannel, jeans, boots, scarves…I love it all! So in planning my makes to kick off our Fall Style Tour, it only made sense to create a look that incorporates some of my favorites, right?! It started with the patterns. 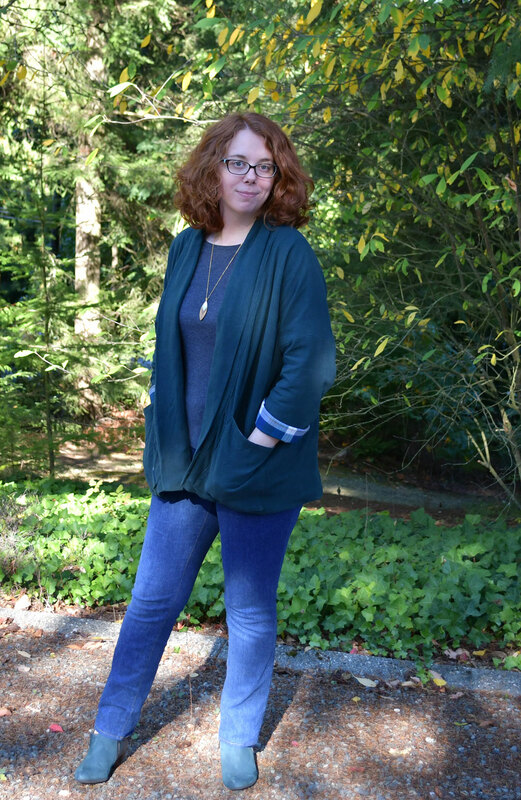 Closet Case’s Ginger Jeans and Wiksten’s Kimono Jacket have both been on my must-sew list all year and this fall seemed like a great time to make both of them a priority. For my jeans I picked a soft stretch denim in a medium blue wash. Almost all of the ready-to-wear jeans are a dark indigo so I wanted to change things up a little bit. I had a much harder time picking fabrics for the Kimono Jacket, there were just too many good combinations! I toyed with the ideas of linen, corduroy, textured cotton shirtings and more. Finally inspiration struck and I decided to combine two favorites, drapey linen/rayon and cozy flannel. This gave me both softness and drape from the linen/rayon and some extra warm and stability from the flannel. I also absolutely love the texture on both of these fabrics! 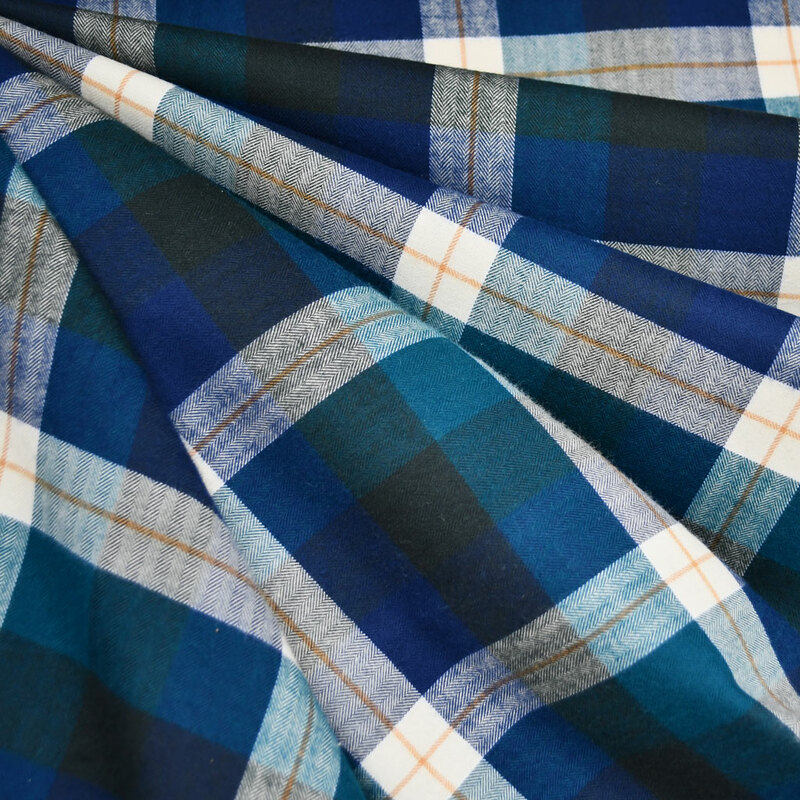 The linen/rayon blend has a slight slub texture and it has the perfect weight for jackets, pants and other fall essentials and the flannel plaid actually has a herringbone texture to it with you take a closer look. Now, to get sewing! For those of you that have been following along you know that I live in jeans! No joke, 95% of the time you will find me in a pair of jeans, however, I must confess that I have only sewn one pair during my sewing career. My hesitation to make that second pair didn’t come from the actual sewing process but from the fear getting them to fit. After so many posts on social media with scary fit issues and the never ending muslining I just couldn’t bring myself to try again. Lucky for me our part-time helper, Sam, was feeling the same way. We decided to conquer our fears together. 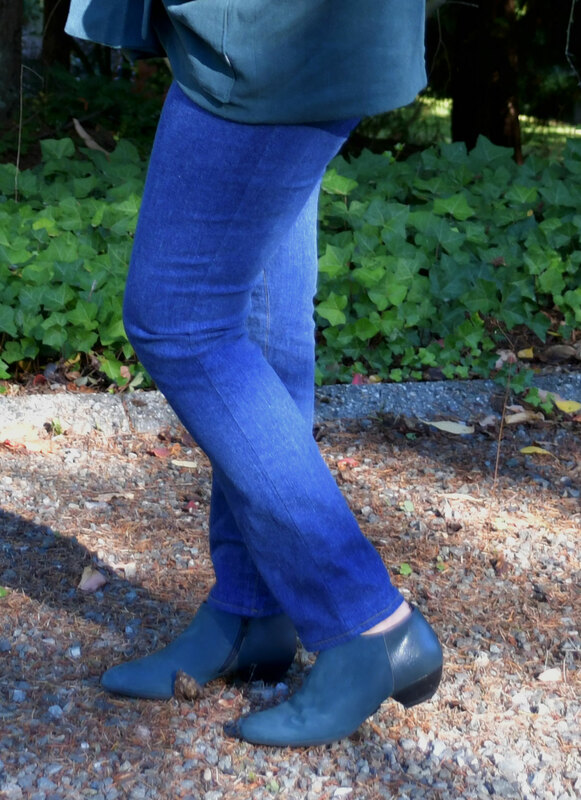 I purchased Closet Case’s “Sew Your Dream Jeans” online class and we spent about four days watching the videos and working our way thru the steps. By the end, we both had the most amazing pairs of Ginger Jeans and were so satisfied and proud of the whole process it took to get there! I think we would both agree that having a jeans-sewing buddy made a big difference. It is so much easier to have someone there helping you decipher the fit issues, helping with back pocket placement, adjusting hem length, etc. It just isn’t the same with that awkward bathroom mirror or other friend/family member that doesn’t speak “sewing”. Heather was also right there cheering us on from the videos and gave us the confidence to really make the jeans of our dreams! I think the results were pretty incredible too! In terms of fit, I made a 3/8″ low seat adjustment after finding all the bunching just below my rear after basting all the pieces together. 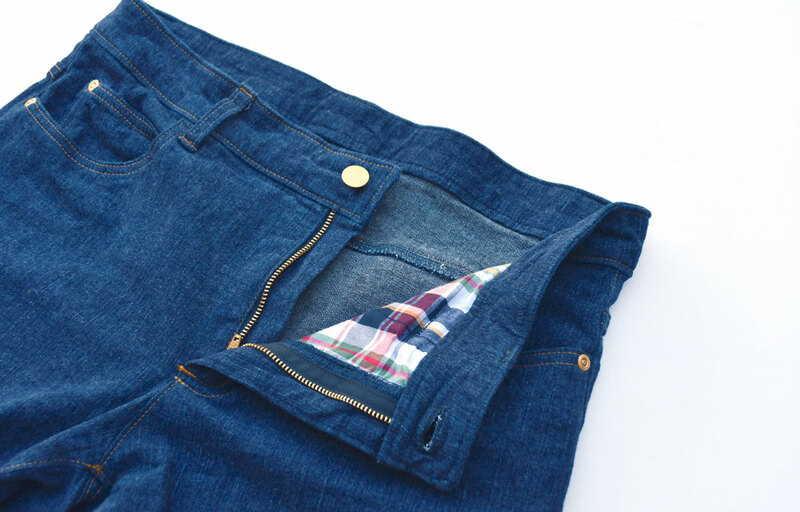 This is an issue I have with almost all of my ready-to-wear jeans and I find it absolutely magical that such a small adjustment can do so much! I mean 3/8″ takes out like a full handful of fabric! I sewed the mid-rise Gingers in a straight size 12 with the stove pipe leg. I didn’t make any other changes but will try a knock-knee adjustment for my next pair. You don’t notice the issue too much with these straight legs but I think it would be very apparent on a pair of skinny jeans. 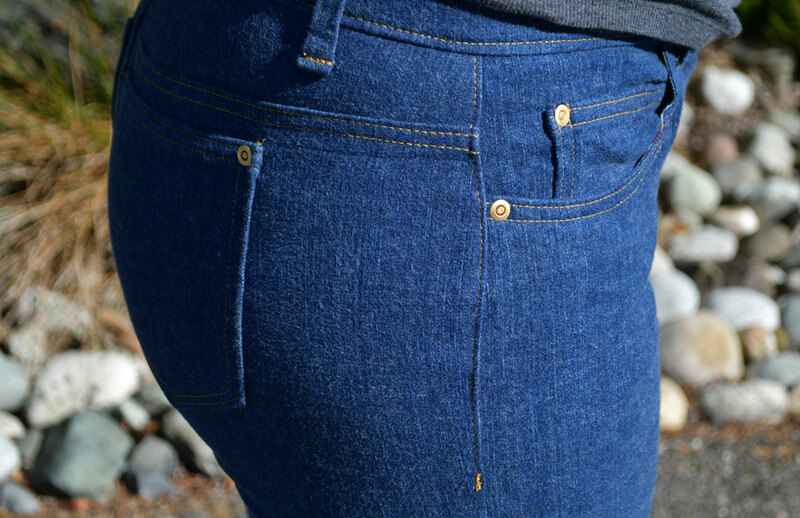 I absolutely love all the finishing details and the extra professional finish the matching hardware gave my handmade jeans. This definitely won’t be my last pair—I might even have denim washed and ready for two more pairs to wear this fall! The Kimono Jacket was must more straight forward! I cut and sewed it over the course of a weekend and didn’t make any major changes. I cut a straight size medium and selected the mid-length so that it would hit at my low hip. I also chose to make the front collar the same fabric and the rest of the body. I like the more solid look and have just that pop of the flannel plaid on the lining. I have seen lots of versions of this jacket where you can make it fully reversible or where there is collar contrasts the front. I like things a bit more subtle and I think this solid spruce color will go with lots of other items in my handmade closet! I absolutely love how both of these pieces turned out and can’t wait to wear them on repeat this season. I highly recommend both patterns along with the jeans class from Closet Case. 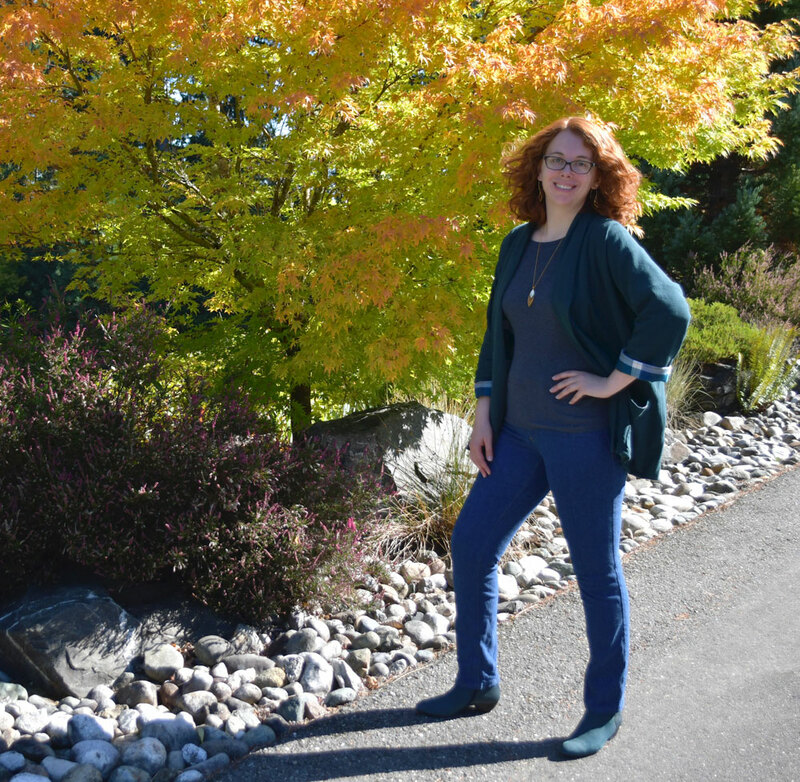 If you haven’t jumped into pants sewing yet, you should and Heather will give you the confidence to do it! Thank you so much for joining us for another Fall Style Tour, I’m excited to kick off two weeks of inspiration overload for your fall sewing. Be sure to check out the new looks posted each day by the amazing group of sewists that are joining us this season. Amy will pick things up tomorrow over on her blog HERE. You can also find links to all of the participants in our launch post HERE. Wow, both makes are amazing. I really do love that jacket though. 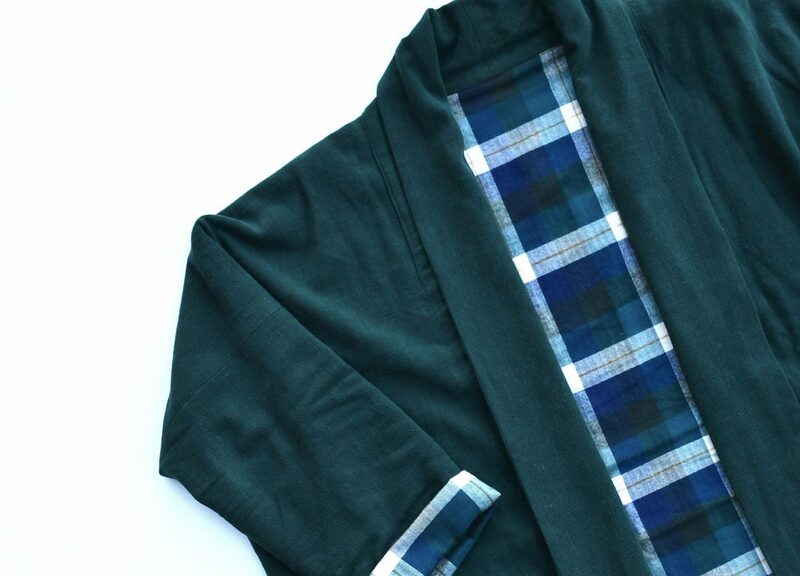 The linen rayon on the outside, lined with the flannel was a moment of genius. 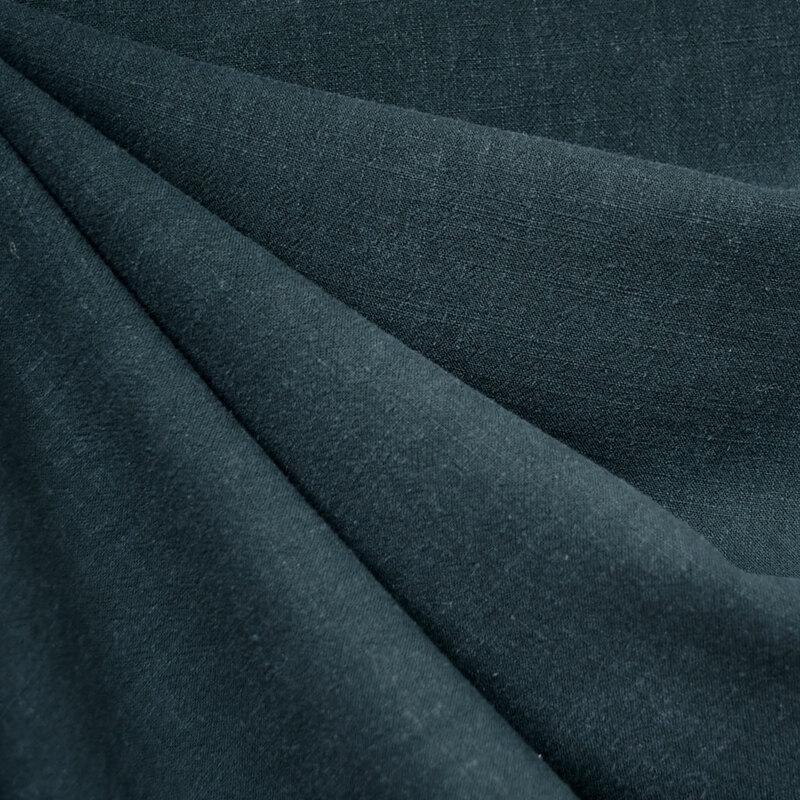 I had not thought of how to use linen for our area other than in the summer. Thanks for the wonderful ideas! The jeans are AMAZING! Great tip, to have a buddy make them with you. I’m in awe of your talent! And I love those boots!